The City of Sebastopol, incorporated in 1902, currently has a population of about 7,800 people and serves a trade area population in excess of 50,000 people. Council on Aging is connecting Sonoma County through a network of services to support our senior community. We are friends, families, and fellow seniors all joining together to deliver meals, assist financial and legal planning programs, and support better aging. The Sebastopol Rotary Club was established in 1925 and currently has 114 members and 4 Honorary members. The Rotary Club meets every Friday at 12:15pm for lunch at the Community Church in Sebastopol. Map located in Club Links. The Club holds several fundraisers each year and awards thousands of dollars in grants to worthy organizations in the local community and through the teacher mini-grant program. In addition to fundraising, the Sebastopol Rotary Club offers many well-established Community service projects including Learn to Swim lessons, Reading programs, Interact at the local High School and Middle School, a Dictionary program, Speech Contests, and a Youth Exchange program. Rotary is an international service organization with over a million members. Sebastopol Sunrise is one of thousands of clubs that make up Rotary International. The Rotary Club of Sebastopol Sunrise was founded in May, 1997. Sebastopol is located in the wine country north of San Francisco, California. Rotary International consists of 1.2 million neighbors, friends, and community leaders who come together to create positive, lasting change in our communities and around the world. Our differing occupations, cultures, and countries give us a unique perspective. Our shared passion for service helps us accomplish the remarkable. Since 1986, the Russian River Senior Resource Center has been the serving seniors living in Russian River communities. Its mission is to empower seniors to live independently by strengthening their family network. In 1982 the Sebastopol Community Center was founded to provide a vehicle for the citizens of Sebastopol and surrounding areas to come together within an expanded community. Committed to quality education and enrichment, the Sebastopol Community Center also originates and develops recreational and service programs. Our center provides the facilities to meet these community needs at all levels and for all ages. Sebastopol Kiwanis is part of Kiwanis International, a global service organization. It's purpose is to support youth. Our local Sebastopol Kiwanis supports youth related organizations in West Sonoma County. Just an hour’s drive from San Francisco lies the distinct wine region Sonoma County. Check out over 500 wineries and discover the rustic charm of down-to-earth locals, farmers, winemakers, and acclaimed chefs at farm-to-table restaurants! We’ve gathered luxury resort and quaint bed & breakfast recommendations, insider winery tips, real reviews on things to do, and travel inspirations for you to plan your perfect Sonoma County experience. 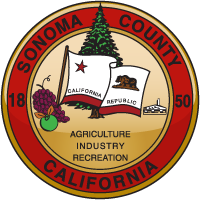 The Western Sonoma County Historical Society is a non-profit organization founded in 1974, and incorporated in 1978 to save the three-acre remnant of Luther Burbank's Experiment Farm at Gold Ridge in Sebastopol. Later, the Society founded the West County Museum in the Railroad Depot building of the Petaluma & Santa Rosa Railroad on Main Street. Both sites are owned by the City of Sebastopol. It is a wholly volunteer work supported by members, a few non-government grants, and donations from the public. The Historical Society supports the West County Museum and Luther Burbank's Experiment Farm with annual fundraising events.